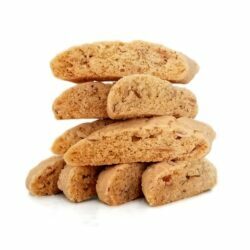 Our most popular variety of biscotti – made sugar free! 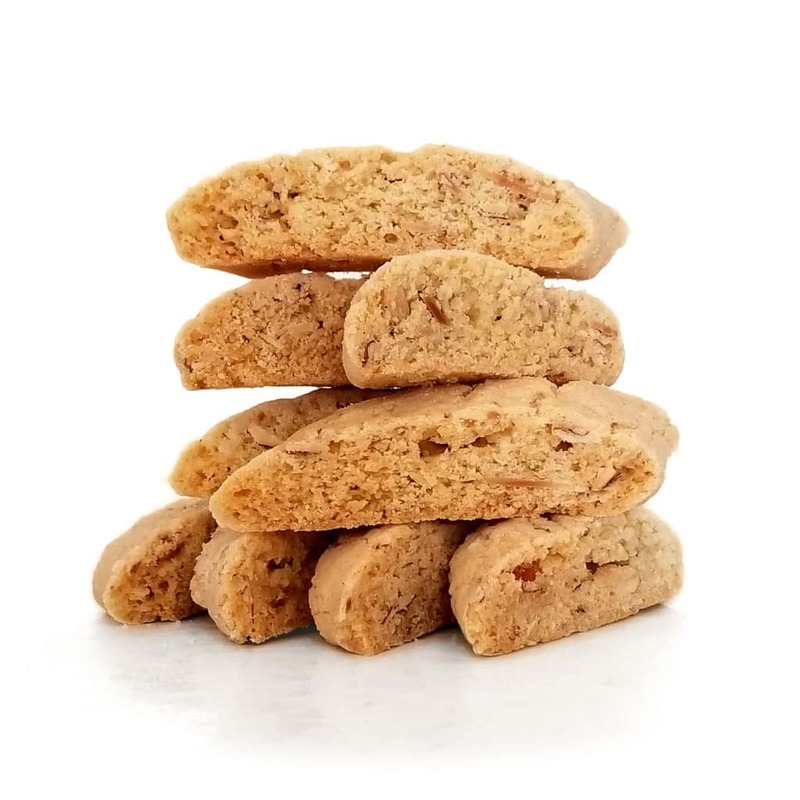 Ingredients: Unbleached, Unbromated Wheat Flour (Wheat Flour, Niacin, Iron, Thiamin Mononitrate, Riboflavin, Folic Acid, Malted Barley Flour), Isomalt, Unsalted Butter (Cream, Natural Flavorings), Eggs, Almonds, Baking Powder, Natural Almond Oil, Salt. Nutrition Facts: Serving Size: 1oz., Calories 100, Fat Calories 41, Total Fat 5g (8% DV), Sat. 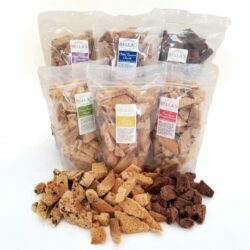 Fat 2g (11% DV), Trans Fat 0g, Cholest. 25mg (9% DV), Sodium 54mg (3% DV), Total Carb. 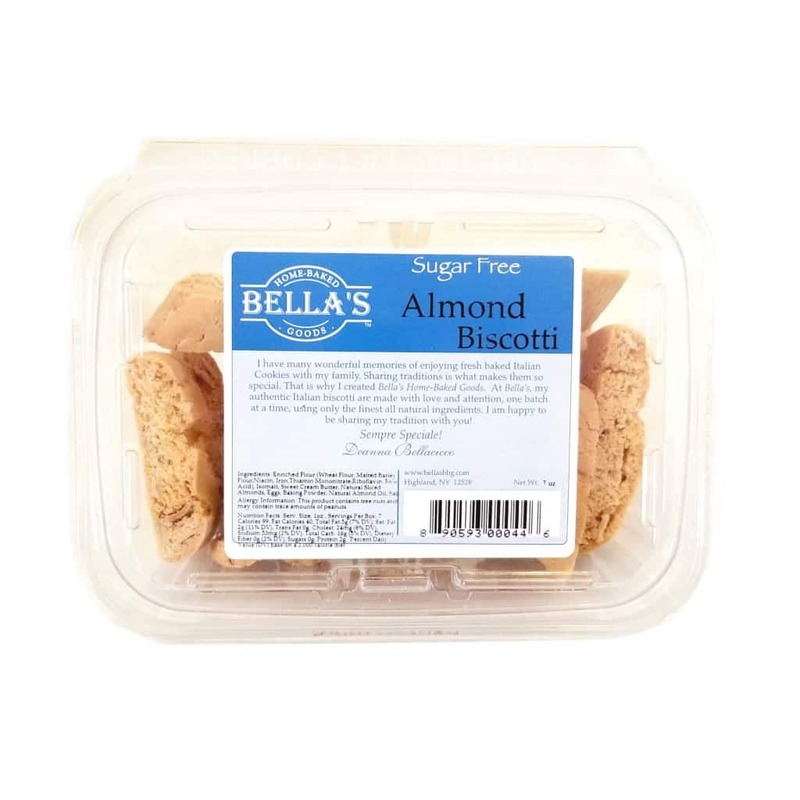 16g (7% DV), Dietary Fiber 0g, Sugars 0g (3% DV), Protein 2g. 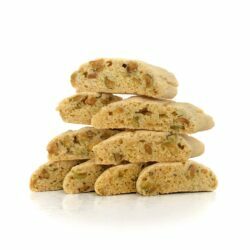 I love that you have sugar free biscotti for those of us who are diabetic. Thanks so much for caring about us.